Eight years ago my father-in-law started having heart trouble and we decided to move back to the US from Australia to be closer to our families. Little did we know how tough the job market was and my wife was unemployed for 6 months after we returned. While my wife had the table-stakes skills like Word and Excel she didn’t have in-demand skills to set her apart from the rest of the workforce. Unfortunately this is an all too common occurrence in today’s economy. 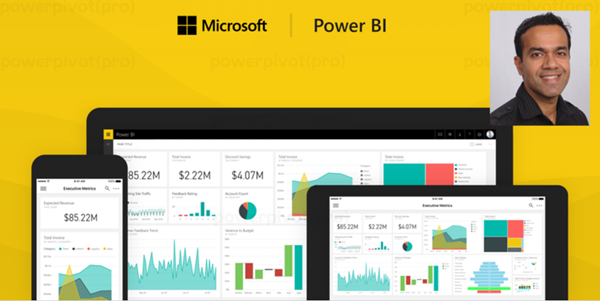 To help our Armed Forces Veterans looking to improve their resume or the work-displaced find their next career, PowerPivotPro and Microsoft are teaming up to provide a near-free day of training on Data Analytics with Power BI (See Forbes article: “Why “Data Scientist” Is The Best Job To Pursue In 2016”). There will be a $1.11 fee to register (the smallest amount Eventbrite allows and all the proceeds will go to the Veterans fund). As space is limited, the purpose of this nominal fee is to reduce the number of no-shows. This training will be December 7th starting 8:30am and will run all day until 5pm.